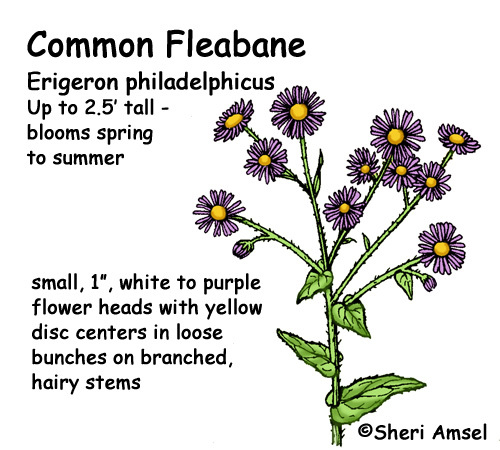 They are found in fields and open wooded areas. 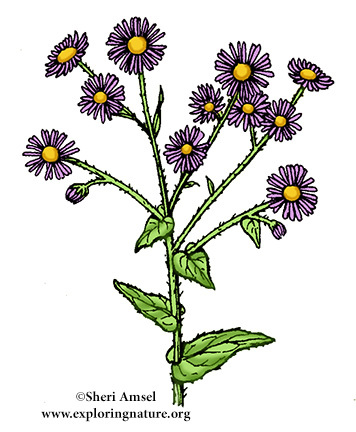 It has small, 1 inch, white to purple flower heads with yellow disc centers. They are in loose bunches on the branched, hairy stems. They have many petals (100-150 per flower head). The leaves are at the bottom of the plant and up the stem. They are toothed and hold the stem at the base of the leaf. They bloom May through August.